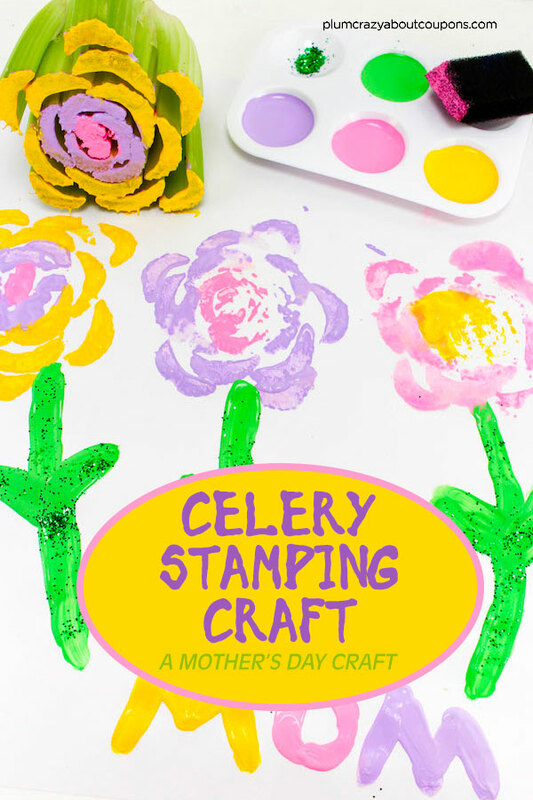 If you are looking for something unique, this celery stamping craft will be just that! 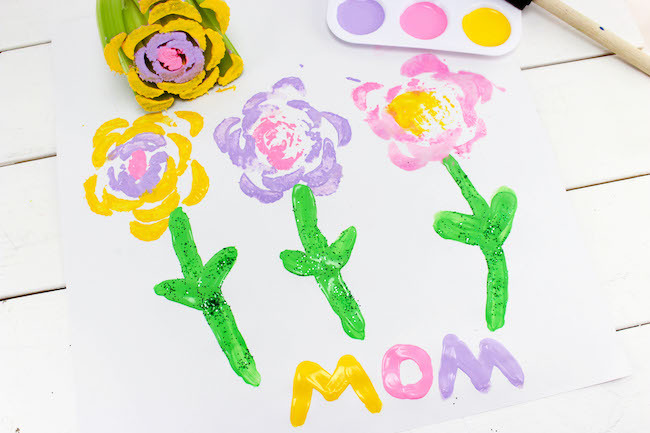 Mom’s love homemade gifts – so whether kids are creating Mother’s Day Flower Pot crafts or something a little simpler like this stamping craft – homemade is still the way to go to get to moms heart. 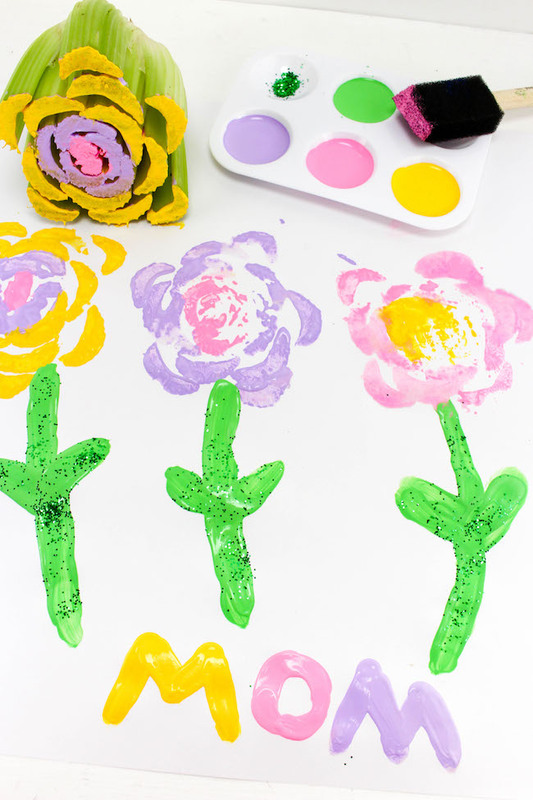 How To Do This Stamping Craft! 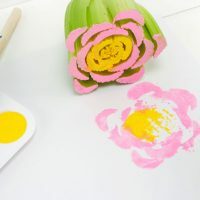 This Mother’s Day celery stamping flowers craft is a craft that is both fun and easy even for the little ones. This also makes a great project for the kids if you are a teacher! I like to find the cheapest price on celery which is usually at Aldi. And the rest of the products can be picked up at the dollar store. 1. Take one celery heart, and slice off about a 3-inch piece from the closed end. 2. Take this piece and brush paint all over the cut end. 3. 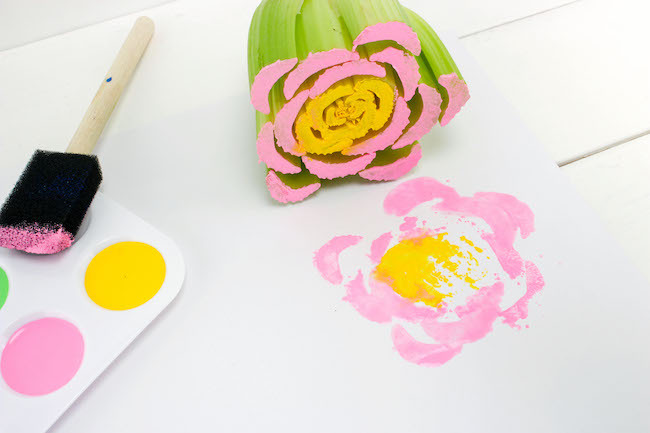 Stamp onto a piece of paper, it will look like a flower. 4. 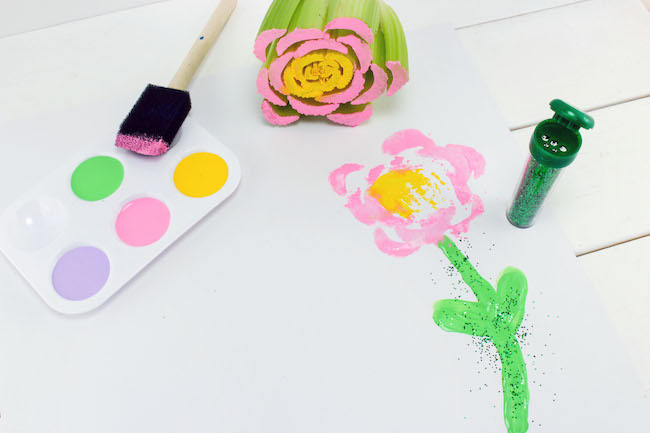 Use some green paint and draw on a stem and leaves. Sprinkle with glitter and let dry. 5. 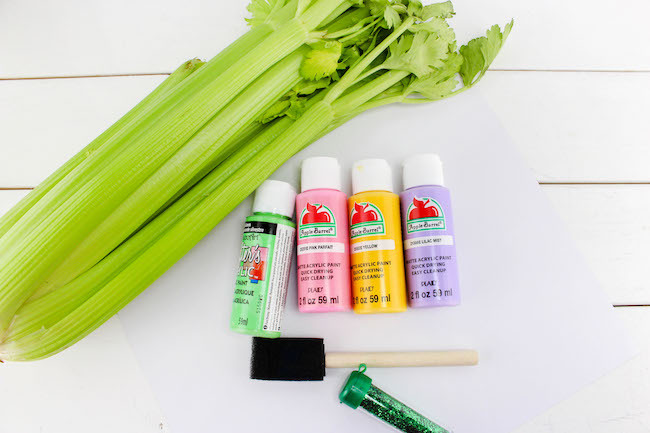 Wipe off the celery end and repeat the process using different colors of paint to make many different color flowers. Mother's Day flower craft made with stamped celery patterns. 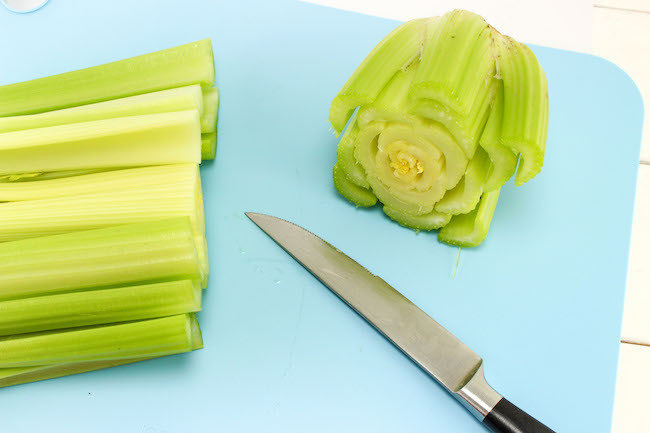 Take one celery heart, and slice off about a 3-inch piece from the closed end. Take this piece and brush paint all over the cut end. 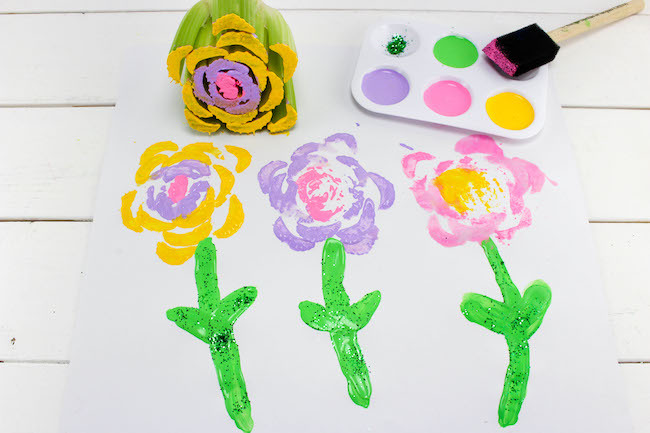 Stamp onto a piece of paper, it will look like a flower. Use some green paint and draw on a stem and leaves. Sprinkle with glitter and let dry. 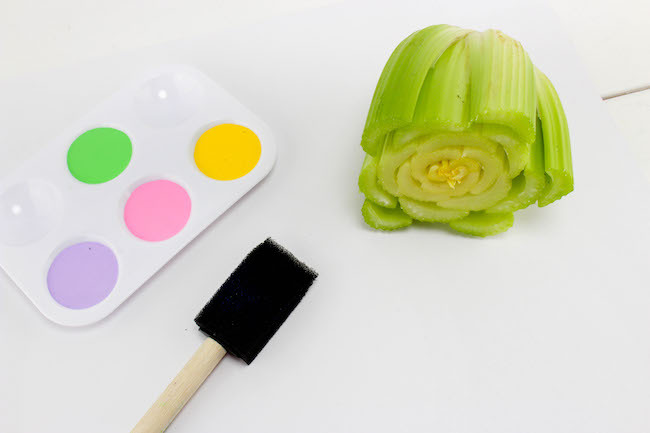 Wipe off the celery end and repeat the process using different colors of paint to make many different color flowers. This is such a neat way to let kids paint. I love how the celery looks like a flower. 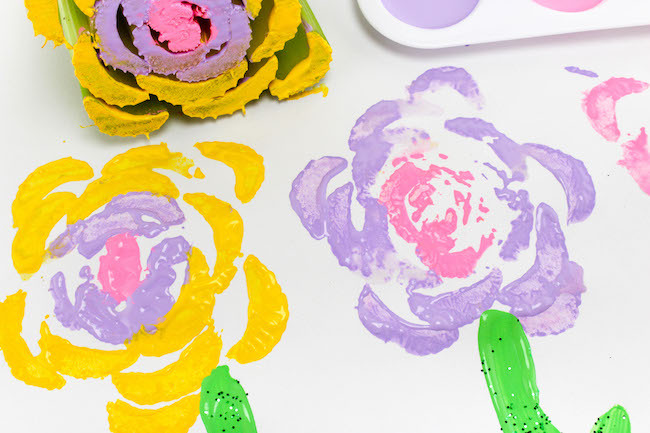 Thanks for sharing your cute Mother’s Day art idea with us at the #HomeMattersParty this week.